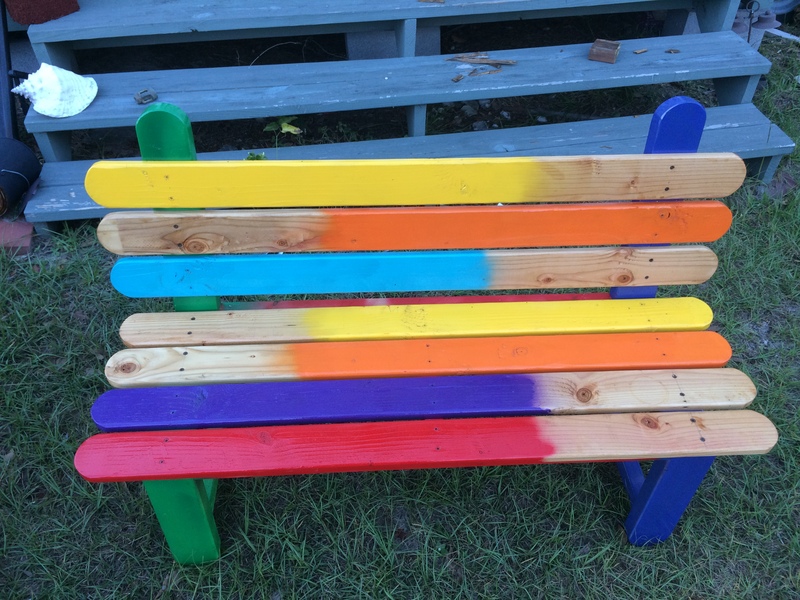 Home / Popsicle Benches $175.00 for straight back – $200 for angled back. 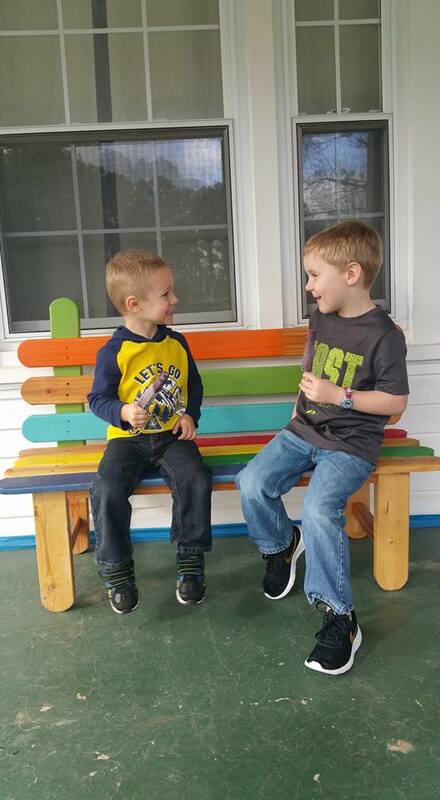 These hand made benches are perfect for your kids, kids in your family, neighbor kids, or grownups. 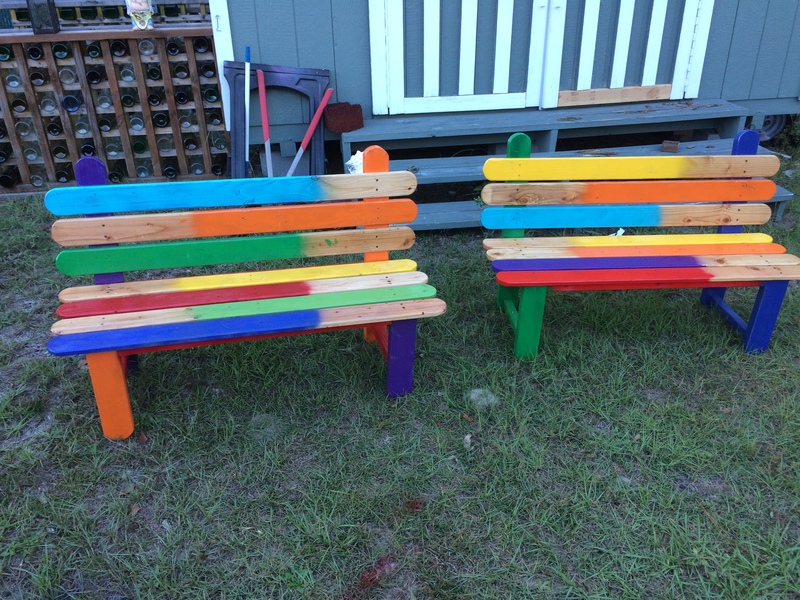 They are 4′ wide by 15″ deep and about 15″ tall at the seat. The back can be slanted or straight up according to your taste. The slanted one has the back slanted rearward for more comfort for larger people. Kids don’t require it. 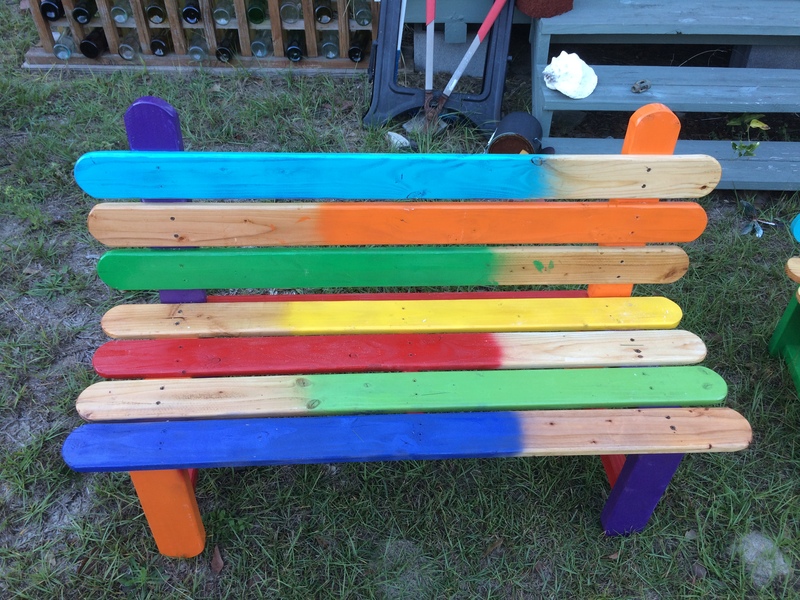 Each one is made from up-cycled wood and 2 x 4 lumber. They are glued and put together with hidden screws to keep kids from trying to remove them. The paint is sealed with outdoor Spar Urethane to protect from heat, sun, rain and cold. All sharp edges are sanded to help protect little fingers and rear ends.